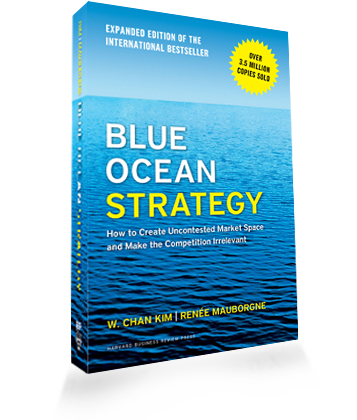 Our competition is inspired by the ideas and message of the international bestseller Blue Ocean Strategy, co-authored by Professors W. Chan Kim and Renee Mauborgne. Blue Ocean Strategy is about creating value for consumers and eliminating competition with innovative ideas and business models. At the Blue Ocean Entrepreneurship Competition, we challenge our competitors to channel blue ocean strategy in their ideas and pitches. Our leadership team works closely with the Blue Ocean Strategy Network to ensure that competitors have great resources to learn about Blue Ocean Strategy and get the best experience possible. Professor Renee Mauborgne with our team at the 2016 Blue Ocean Entrepreneurship Competition in Ellicott City, MD.